A glamorous and creative living experience awaits you in this new lifestyle hotel. The stylish ambiance with its unique architecture, impressive interiors and friendly service invite you to stay a while longer. The new Kameha Grand Zurich is always worth a trip. Its extraordinary interiors and great architecture make for a great hotel experience. With 245 rooms and suites, an event hall for up to 960 people and a comprehensive congress area, this design hotel is a perfect place for business travellers. With so much inspiration, creative ideas bubble up here all on their own. 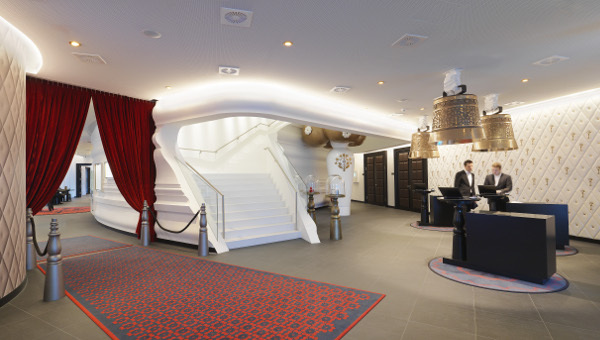 The Dutch designer Marcel Wanders has accomplished masterpieces in the Kameha Grand Zurich. Wonderful allusions to Switzerland feature throughout the hotel. Special highlights are the themed suites, which offer a fantastic atmosphere. The Poker Face Suite for instance is equipped with a roulette table, the Diva Suite has a walk-in wardrobe and the Serenity Suite designed for yogis is particularly bright and fragrant. If you want to wind down, the best thing to do is to treat yourself to a fantastic pamper in the fashionable spa. In addition to saunas and a steam room you can totally relax with high-quality treatments. The relaxing loungers on the unique rooftop terrace guarantee a beautiful spot with a view. For more active guests there is the modern Fitness Power House with workout facilities. 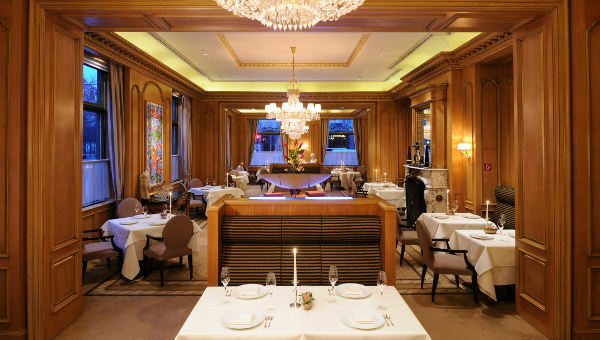 Enjoy the first classics from the Kameha Grand Zurich!